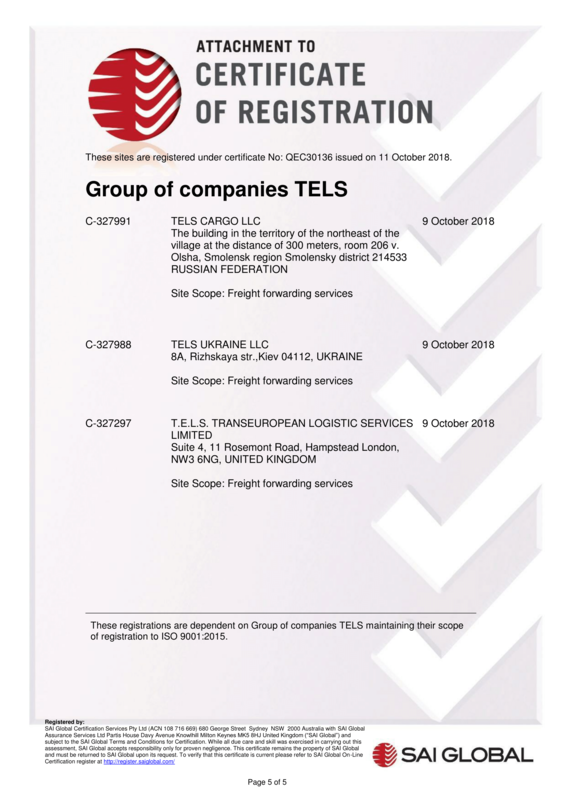 TELS group of companies operate throughout the world to deliver safe global freight forwarding and cargo transportation services. 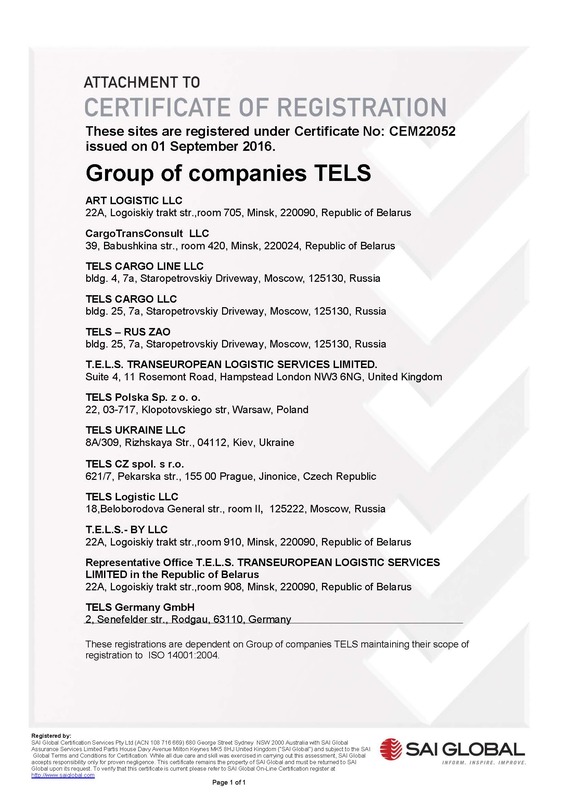 Our international freight forwarding routes cross the borders of Great Britain, Germany, the Czech Republic, Poland, the Baltic countries and CIS, including Russia, Belarus and the Ukraine. With 11 branch offices in major European capitals, TELS is one of the most fast-growing international transportation companies, which delivers a full range of international logistic services. 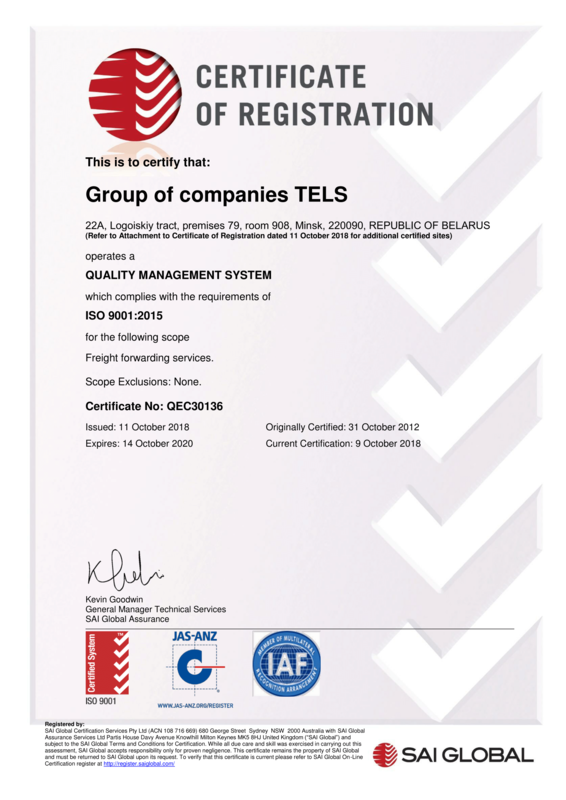 In our 17 years history we have succeeded in building a highly trusted brand known and recognized worldwide. From London to Minsk, our team of qualified specialists coordinates the work of our global freight forwarding network, handling hundreds of daily deliveries worldwide. 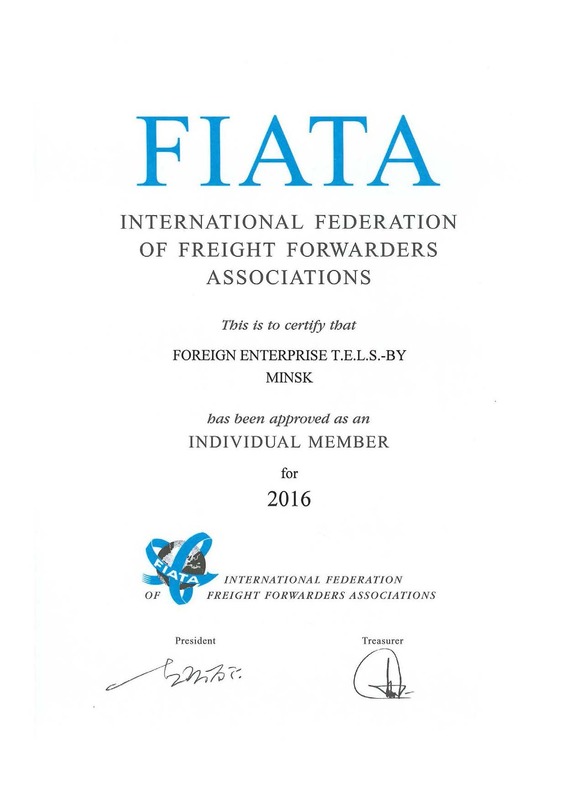 The exceptional quality of our international freight forwarding services was officially acclaimed in 2004, when TELS was inducted into FIATA (International Federation of Freight Forwarders Associations). 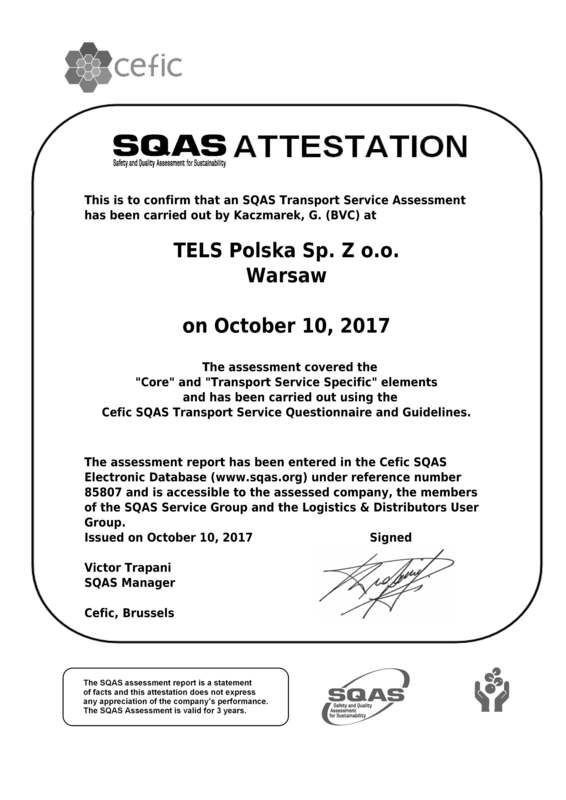 Regardless of cargo type, country of destination and terms of shipment, international logistic company TELS considers all clients’ preferences and requirements to ensure ultimate compliance with our corporate operation standards. As a member of the TT Club (UK), TELS applies the highest standards of cargo security and insurance confirming reliability of fast and safe international cargo deliveries. Logistic company TELS employs an integrated approach to cargo transportation, as our freight services cover all areas of international cargo shipment. 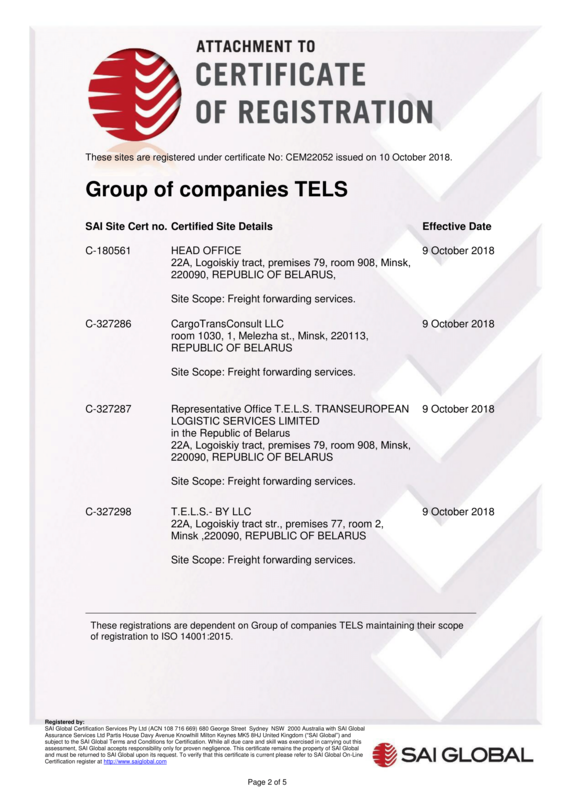 TELS owns its private cargo transport as well. We efficiently combine various types of transport to ensure safe and timely multimodal/intermodal delivery to any destination across the world. Regardless of how small your consignment is, we minimize transport expenses by consolidating different consignors’ cargoes. Efficient allocation of transportation capacities allows keeping our shipping rates at their lowest level. That is why TELS is considered to be one of the most loyal international logistic companies. 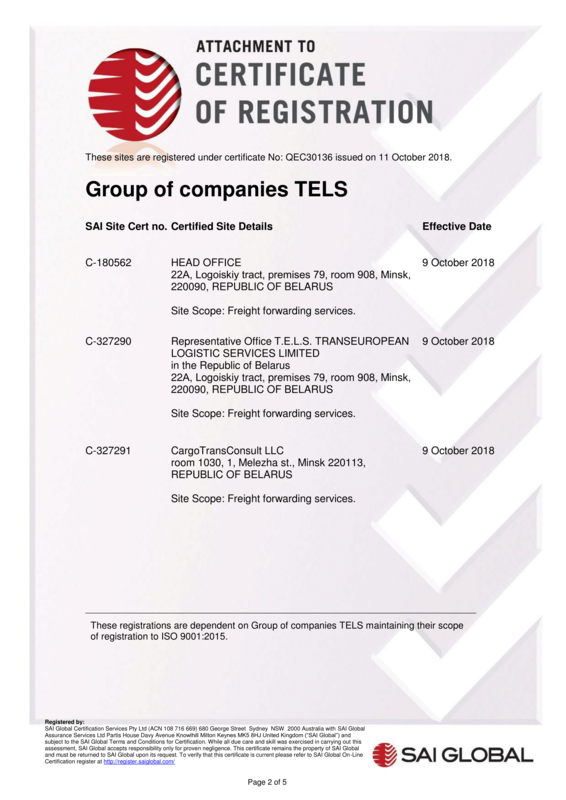 Due to extensive transportation capacities and the staff of qualified drivers, TELS international transportation company provides worldwide shipment of oversized and dangerous cargo compliant to the highest safety standards. 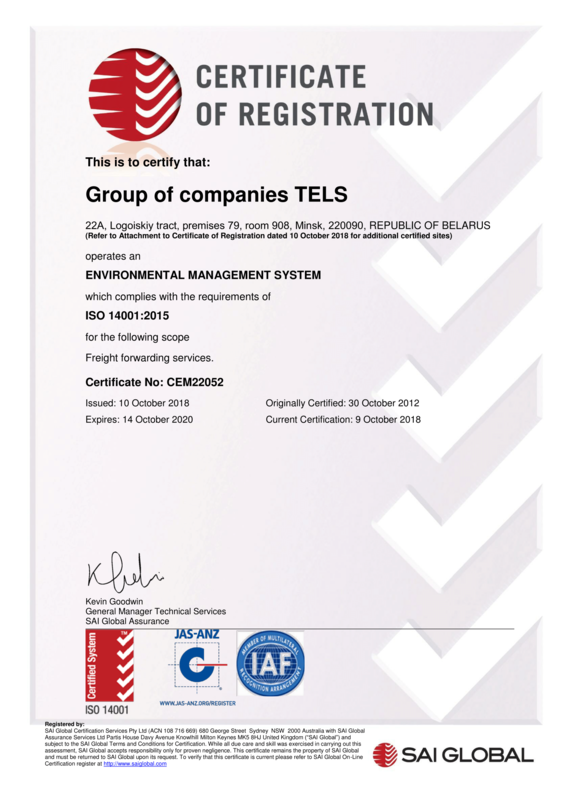 Our own cargo company’s transport consists of highly ecological vehicles which meet the requirements of high international standards. TELS logistic company develops a large-scale chain of consolidation warehouses to provide premises for temporary cargo storage, packaging, loading and labeling. 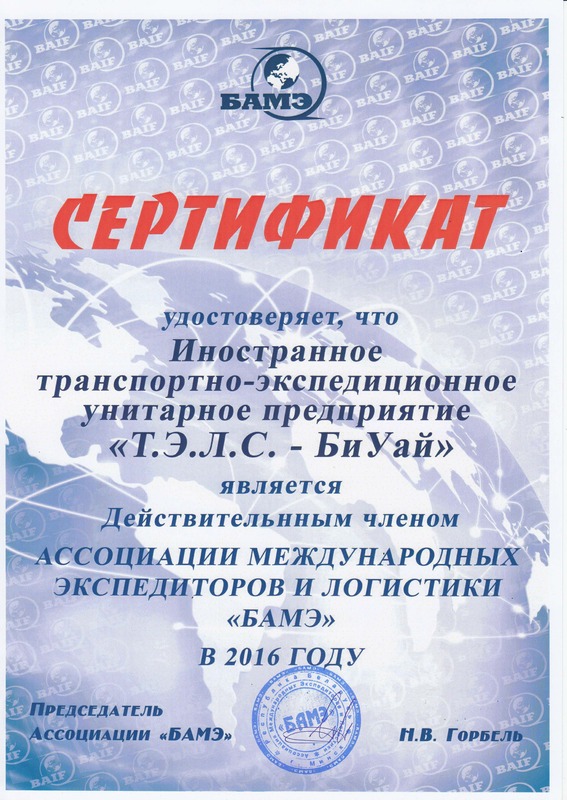 Customs clearance, execution of accompanying documents, satellite cargo tracking and consulting are integral parts of our freight shipping company TELS. 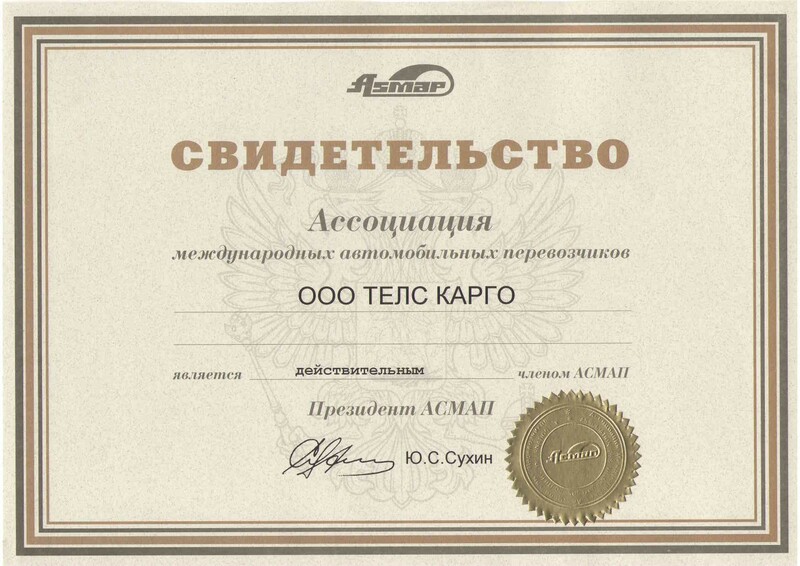 These activities are based on the principles of transparency and top-class account management. Contact our 24/7 Customer Support for more details.